Join us at our signature fundraising event! 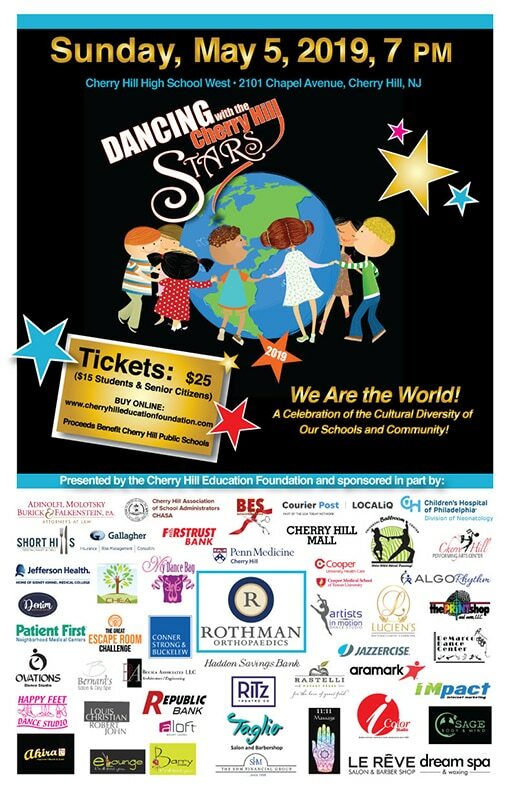 The Cherry Hill Education Foundation is proud to present Dancing with the Cherry Hill Stars! This year’s event will be held on Sunday, May 5, 2019 at Cherry Hill High School West. Sponsorship opportunities are available! Click HERE for the sponsor information packet and click HERE for the ad form for the program/ad book. Donating/Voting for your favorite Dancer/Couple underway! Let’s Get Started with Online Donating/Voting! Thank you for your support of the Cherry Hill Education Foundation!